Can lifesaving breast-cancer treatments raise your chances of dying from a heart disease? A recent story in The Washington Post by Laurie McKinley cites an American Heart Association warning to women with breast cancer that "lifesaving therapies like chemotherapy and radiation can cause heart failure and other serious cardiac problems, sometimes years after treatment." The AHA suggests, however, that rather than avoid the treatments patients should "take steps to prevent or minimize the cardiac risks" by exercising regularly and sticking to a healthy diet. According to McKinley's dispatch, the caution, published in the journal Circulation, includes the conclusion that "breast cancer survivors who are 65 and older and were treated for their cancer are more likely to die of cardiovascular problems than breast cancer." 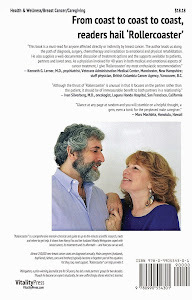 Nearly "48 million women in the United States have some kind of heart disease, compared to 3.3 million women with breast cancer," the Post piece asserts, adding that the AHA "said an unprecedented number of women are surviving the disease yet face a risk of developing heart problems, in part because of their cancer treatments." 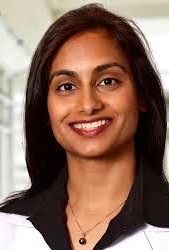 Dr. Laxmi Mehta, who led the writing of the report and is a cardiologist at Ohio State University, is quoted as saying that "it's important for people to know that the heart needs to be taken care of before, during and after treatment." And Dr. Otis Brawley, chief medical officer of the American Cancer Society, is paraphrased as noting "it isn't unusual for a breast-cancer patient who underwent chemo years earlier to wake up one day with swollen ankles and shortness of breath, symptoms of congestive heart failure," but when such a patient ends up hospitalized, "doctors tend to look for signs of a heart attack or pulmonary embolism while overlooking breast cancer treatment as a possible culprit." That's a problem, he indicates, "because heart failure caused by a chemo drug like doxorubicin [which once was called adriamycin] is treated differently than heart failure from a heart attack." The report says some studies have shown that "dexrazoxane can reduce the risk of heart damage in patients getting high doses of doxorubicin for advanced breast cancer" and that some heart damage, including the kind cased by Herceptin, can sometimes be reversed. The Post article also reveals that some doctors worry that the AHA report might discourage women with high-risk cancer — especially those with HER2-positve and triple negative breast cancer — from getting aggressive treatment. 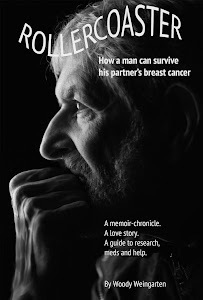 More details about the risks of radiation and chemotherapy can be found in "Rollercoaster: How a man can survive his partner's breast cancer," a VitalityPress book I, Woody Weingarten, aimed at caregivers.